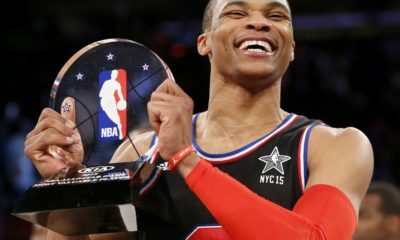 No Russ? No Melo? No problem –for the Thunder that is. 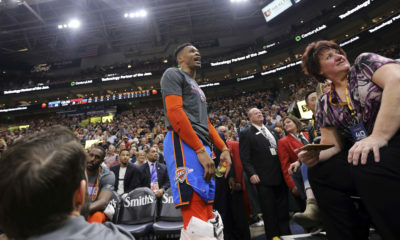 Paul George and the Thunder bench proved to be quite the problem for Memphis tonight, and the Grizzlies picked up their sixth straight loss with a 110-92 final in Oklahoma City on Sunday night. 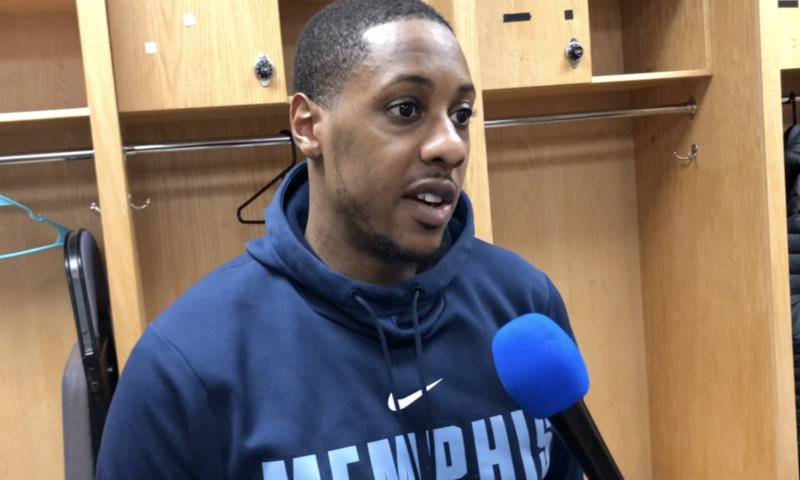 The Grizzlies have had a tough season picking up 37 losses, and with players like Chandler Parsons and Mike Conley out with injuries, their hopes of defeating the Thunder dwindled as they returned to the locker room at halftime with a 20-point deficit. The Grizzlies also ended the night with 17 turnovers compared to the Thunder’s 9. Tyreke Evans, who hasn’t played since Jan. 31, returned for the Grizzlies tonight after trade speculations came to an end with the trade deadline on Feb. 8. Evans picked up 12 points, 5 rebounds and 3 assists for the Grizzlies, but Paul George’s 33 points and the Thunder breaking the franchise record for number of 3’s in a game at 16 pushed the Grizzlies’ chances of winning lower and lower as the game wore on. Marc Gasol led the Grizzlies with 18 points, 6 rebounds and 2 assists, and JaMychal Green put up 14 points of his own. The Grizzlies fall to 18-37 in the season, 5-21 on the road and will be back home in the FedExForum Arena on Wednesday night for a rematch against the Thunder. 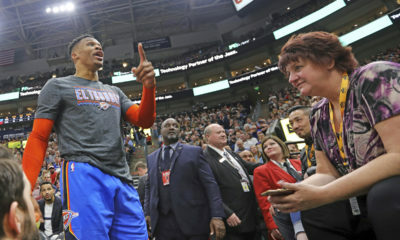 Will Carmelo Anthony and Russell Westbrook be better by then? Hard to say, but it’s apparent the Thunder are able to hold their own against Memphis without the two stars.